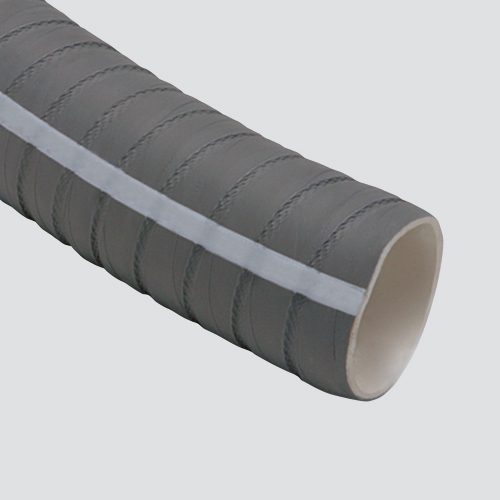 This gray shadow food hose is designed for transferring liquid food products, including edible oils. Its constructed of multiple synthetic fabric plies, smooth FDA approved NBR tube, and abrasion resistant NBR/PVC cover. Its dual wire helix and corrugated cover make it very flexible compared to similar products.